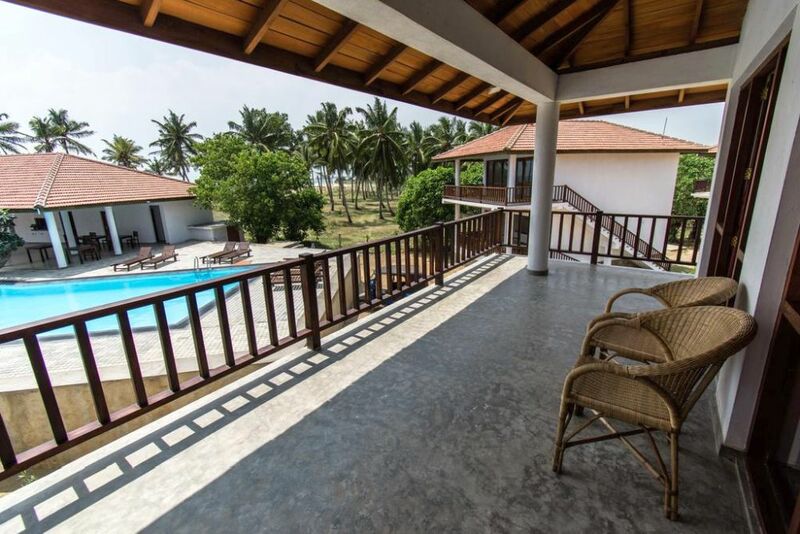 The Ladja Beach Resort has a total of 20 modern apartments in 10 two storey bungalows, built in tropical gardens right on the shores of the Indian Ocean. 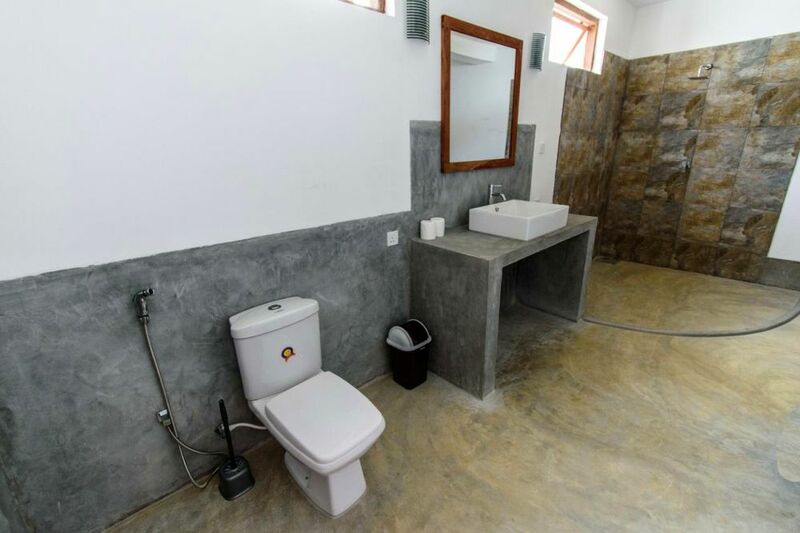 The spacious apartments are 70 m2 large, of which the terrace has 13 m2, own room 44 m2 and bathroom with toilet 13 m2. 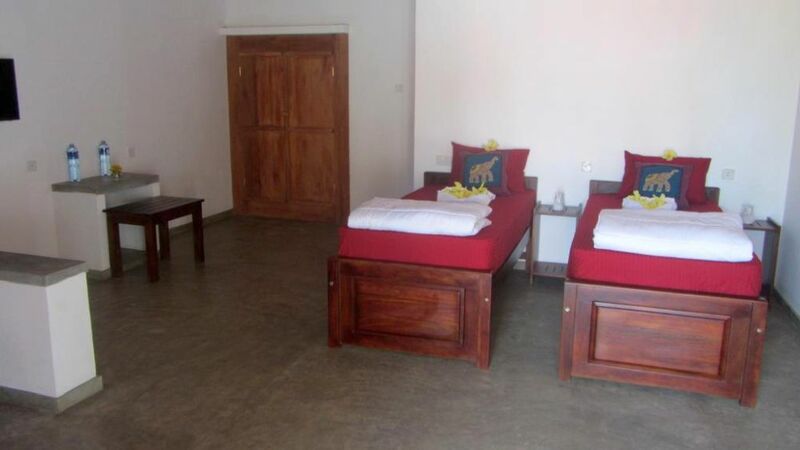 The rooms are equipped with a 2-meter-long double bed (some of them have twin beds), a desk with a conference table, bedside tables, a large built-in wardrobe, a dressing table with a mirror, an LCD TV, air conditioning, a fan and mini fridge. The beds face the French windows overlooking the sea and the garden. 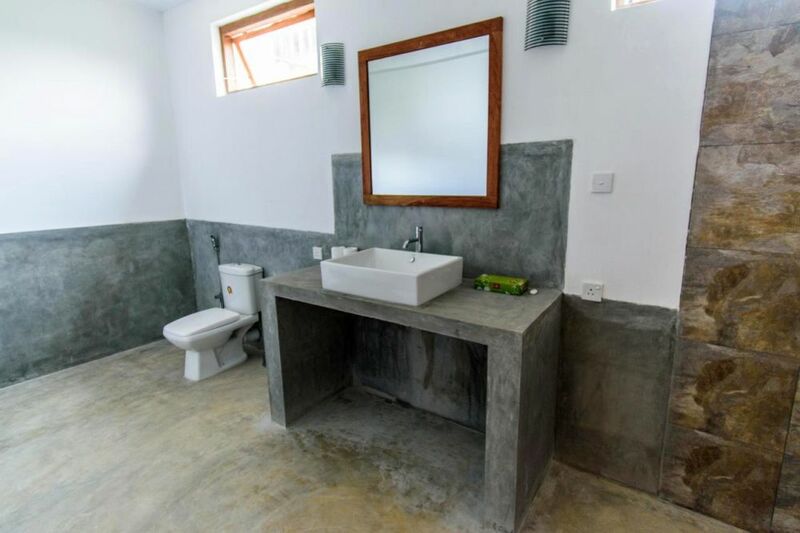 The bathroom has a washbasin with mirror, shelves, an artificial stone shower with a tropical rain shower head and a toilet with a bidet shower. The apartment can accommodate up to 2 adults and 2 children up to 10 years old. The resort features an 18-meter pool with a separate children's area and a sandy beach. Swimming in the sea in all of Sri Lanka is hampered by high waves. There are two rock formations on the adjacent beach about 600 meters from the resort, which break waves so that they create natural pools in the ocean without high waves, allowing safe swimming for bigger part of the year. Directly at the resort there are excellent conditions for experienced kite surfers. 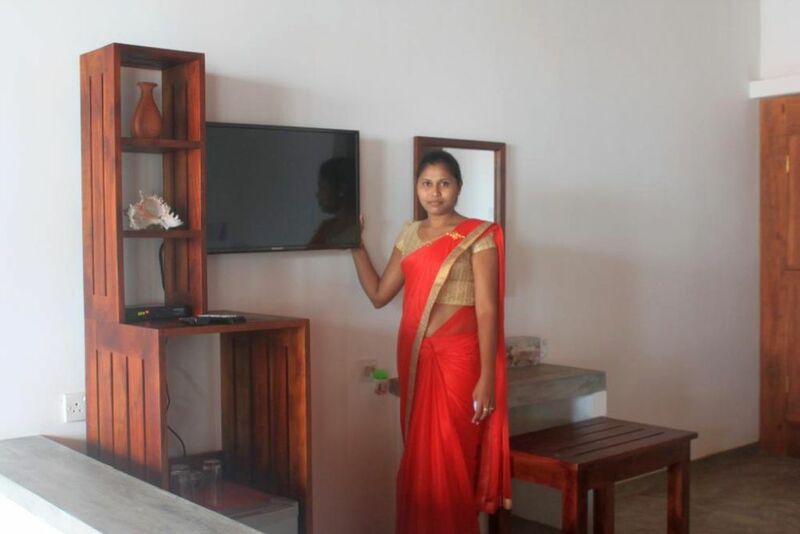 The hotel also has a restaurant serving delicious Sri Lankan and European dishes. The menu is available in English. There is always at least one of our experienced European colleagues who is ready to answer any questions, advise or arrange a transfers or other services for your convenience. 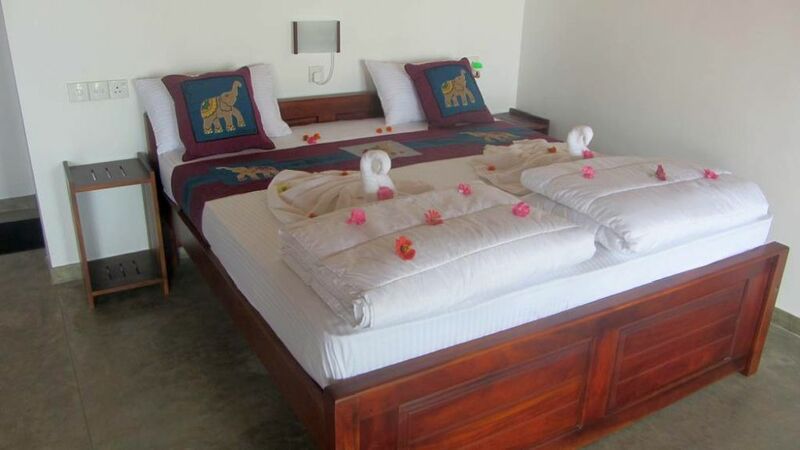 The resort is located on the southern coast of Sri Lanka near Ambalantota. There is almost no tourism in this quiet area, but it is nearby from national parks and interesting Buddhist monuments. Peacocks, monkeys, varans and an enormous variety of bird species are in the resort and its surroundings. The resort itself is surrounded by rice fields, banana and palm plantations. Surrounded by nature, Ladja Beach Resort is not disturbed by light smog at night and the sky is dotted with countless stars in clear weather.